The pack lost one of its younger members when it lost Aldo in January due to a previously unknown heart condition. He was only 5. Aldo came to Wolfwood November of 2013 as a 5-month-old German Shepard/wolfdog. He was living in a car with his owner, who contacted us and said he couldn't keep him anymore. He took Aldo to the La Plata Humane Society, where he was neutered and given his shots. When Aldo arrived at the Refuge he was put in with Trinity. Trinity had lost her longtime companion and young Aldo provided a new challenge to her. Aldo was energetic and in need of a parental influence. Trinity provided that and several years of happiness ensued. After Trinity's passing in 2018, attempts were made to put Aldo with other animals, but it was never the same as it was with Trinity. Aldo spent the last few months being a neighbor to Chica and Smokey. This arrangement suited him as he had his own bachelor pad but could endlessly run the fence-line with his neighbors. He was always a bit shy and liked meeting people but he only welcomed pets from selected volunteers, especially Joel. Aldo had a severe reaction to a spider bite and was very sick. He was treated and seemed to recover but it is possible the bite and reaction exasperated his heart condition. Aldo was one of the few animals at the Refuge who did not come to us from an abusive situation. He had a short life that was full of play, companionship, and lots of treats. We are heart-broken to have lost him so young. Sheba left us in July due to complications from her advanced age. She was 13. 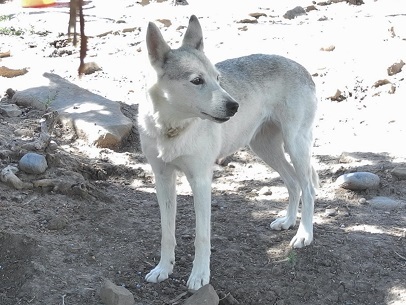 Sheba was a wolf/dog who joined the Refuge during July of 2014. She had been well cared for by a local woman but a divorce meant that Sheba no longer had a place to stay. Sheba became a surrogate mother when Jinn arrived at the Refuge as a puppy. Jinn was put in with Sheba. Sheba's maternal instincts kicked in and she was lovingly referred to as "St. Sheba" because of her enduring patience with Jinn. As a puppy Jinn constantly chewed and licked Sheba. She jumped all over her and Sheba took it all with a big smile. Sheba was great at allowing Jinn to be a rowdy puppy, but reminding her when enough is enough. Jinn was very lucky we had this gentle wolf/dog to be her role model. The two of them became inseparable and went everywhere together including to external educational events. Sheba took on the motherly role again when Gideon joined the Refuge as a weeks-old puppy in April 2018. She nurtured Gideon and we had our amusing issues associated with a wolf/dog trying to communicate with a dog. Gideon was well cared for by Sheba. With all this love it was easy to miss the fact that Sheba was advanced in her age. She had thyroid cancer and she had lost control of her hindquarters. Sheba told us it was time. She stopped eating and drinking. We all know those signs. It is rare that we get an animal into the Refuge like Sheba. She was kind, gentle, and a great surrogate mother. She loved to be petted and gave the love back to everyone. We were lucky to be able to give her a home for her last 4 years. We will miss seeing her everyday at the front of the Refuge. We lost Tavi the same day as Sheba, in July. She was almost 14 years old and had been at the Refuge 11 years. 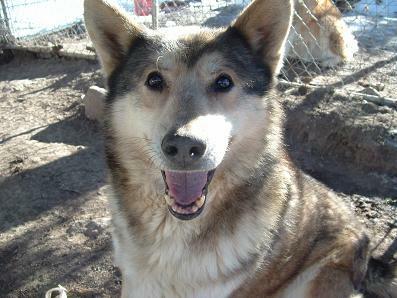 Tavi was a wolf/dog who came to the Refuge from Delta, CO in 2007. She had been starved and abused by her owner. She required extensive physical rehab and socialization. It took almost a month to go through the process to get her removed from her situation and get her to Wolfwood. 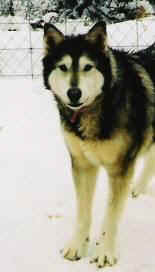 When Tavi arrived, she was put in with Lakota. Lakota, who was equally under the weather, became Tavi's best friend and they spent many years together. However, Tavi remained very shy and visitors to the Refuge rarely saw her. She was sweet and interacted well with Lakota but she remained wary of human interactions preferring to be left alone by people. Volunteers might get her to come to the fence by offering her a treat and would sometimes be allowed rare one-on-one time. After Lakota passed in 2014, Tavi was briefly paired with Kewa but, for the most part, she preferred to remain alone. She liked being in her own space next to Finn the last year. Tavi had two strokes recently and had difficulty getting up and moving around. She was tired and she went peacefully. Tavi is a good example of why the Refuge exists. She came in broken and abused and was able to spend the next 11 years of her life safe, secure, and cared for. Even in her shyness she showed everyone how sweet and strong she was. Travel well, Tavi. Wolfwood lost the heart and soul of our educational programs when Trinity succumbed to her yearlong battle with a nasal tumor in early April. She was 9 years old. Trinity came to the Refuge early in 2009 as a young puppy. She had been found abandoned on streets of Pueblo CO and ended up at the Pueblo Animal Shelter. She was born with hip complications and the bones of her hind legs did not fit into her hip sockets, the result of bad breeding. When she arrived at the Refuge it became clear that her personality was a great fit for the educational program. She loved to be petted endlessly and loved everyone, especially children. As Trinity grew older, we waited to see if the hip problem would correct itself. One of her legs fused correctly, the other did not. Trinity had several hip surgeries. The latest, in mid 2012, had her leg bone cut and muscle wrapped around the bone to hold it in place. The operation worked and her hip problems were finally fixed. As part of the education program Trinity relished in attention. 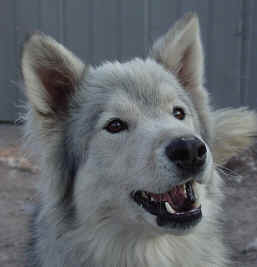 She was a wonderful example of a wolfdog with clear features of both. She would have endless patience as Paula showed Trinity's ears, tail, wolfspot, legs, etc to point out similarities and differences with other dogs and wolves. For the first few years at the Refuge, Trinity lived with Navarre and Domino. When they passed, in 2011 and 2012, the search started for another penmate. 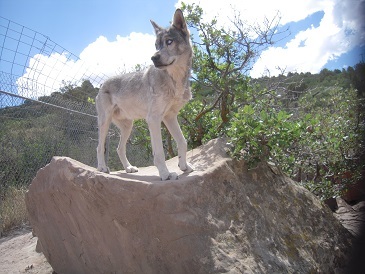 In 2013, a puppy wolfdog named Aldo joined Trinity and several years of happiness ensued. In the Spring of 2017, a nasal tumor was found. The condition was terminal and the priority was to make Trinity's remaining time as comfortable as possible. Dr. Wagner consulted with experts from around the country and a treatment plan was decided on. Donors stepped forward to help offset the treatment costs and Trinity made her final visits to many events, again welcoming endless pets and belly rubs. Trinity was unique. She would gladly roll over for belly rubs. At every event she was the rock star. She was petted by thousands of people over the years. While other animals would lose interest in the attention, Trinity never tired of it. She loved kids and was completely comfortable around visitors in wheelchairs. Paula took her to countless elementary schools for educational events and Trinity loved it. When Trinity's body was moved on a stretcher to the truck, Paula heard something she had never heard before. It started with Ra and Tala, two full wolves. They began to howl a deep mournful howl that spread up the hill to the whole Refuge. They all were grieving the loss of Trinity. Trinity's passing left a hole in the Refuge that can never be filled. She left a very large paw print on all our hearts. Thousands of people will remember her as the face of the Refuge. We were very fortunate to have known her. We lost Orley in March due to issues associated with Canine Lupus. 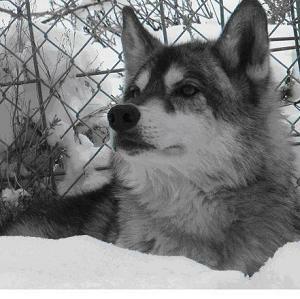 He was one of our longtime pack members and was at least 10 years old. Orley came to the Refuge in 2009. His story is typical of many animals that Wolfwood takes in. He was a stray that was found by the Southern Ute Tribe Animal Control organization. At the time, it was estimated he was 2 years old, but since he was a stray, his background and exact age aren't known. What quickly became apparent is that Orley had been abused. He did not like to be touched in any way. But he was a strong boy and he was physically healthy. Volunteers let him be and made sure he was well fed and had plenty of water. Over the ensuing years, Orley calmed down and he joined Siku as a lifelong penmate. He still didn't like to be touched by anyone but having a companion slowly changed Orley. The years went by and Orley eventually let volunteers approach him and even pet him. In the last few years, Orley developed Canine Lupus. This attacks various organs and is not curable. Orley was on steroids to help him but the final result was inevitable. Orley embodied the reason the Refuge exists. Unwanted animals are taken in and given the chance to live in an environment that understands their unique needs. Orley came in damaged and slowly learned to trust and have a peaceful existence. He wasn't seen by many visitors other than Refuge volunteers, but that is the way he liked it. We wish him well in his journey. For 12 years he has been the first animal people met at the Refuge. He was the guardian and the gatekeeper who would alert volunteers and pack members alike of someone entering the Refuge. He was introduced as "That's Kohl, he's just a dog." Kohl left us in February. His heart was strong but his body was tired. He was 12. Kohl occupied a special place at the Refuge. With all our wolves and wolf/dogs, it was Kohl, a big, black lab mix that had the job as the gatekeeper. Anyone who visits the Refuge knows that wolves make terrible "watchdogs." Kohl embraced that role. But once he knew you, you were welcomed with lots of Kohl-fur and Kohl-slobber. Kohl joined the Refuge in 2006 as a puppy. 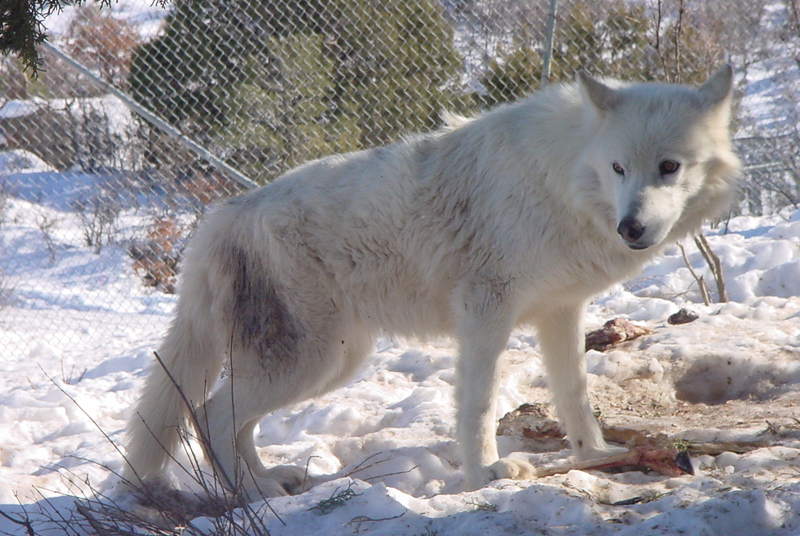 Like several of our dogs, his initial role was that as a companion to one of our wolves, Tonka. Tonka had lost her brother and was inconsolable. Kohl came from the local animal shelter and joined Tonka. Tonka's maternal instincts took over and she raised Kohl. Of course, we now had a wolf trying to teach a dog and the combination had some funny consequences. Wolves communicate in ways that Kohl couldn't respond to sometimes. Wolf ears are short and can move in different directions. Kohl had big floppy ears that just did what they did which was to lie down on top of his head. So when Tonka sent Kohl a message using her ear movements, Kohl couldn't respond. Kohl had big facial jowls so he couldn't respond to Tonka facial movement either. Tonka would get a bit confused but Kohl didn't mind at all. Despite these differences, they got along wonderfully until Tonka's passing in 2012. With Tonka gone, several attempts were made to put different animals with Kohl to keep him company. But he had no patience for any of them, especially the younger ones. He quickly made it clear that he wanted to be in his own pen and his own space. Neighbors surrounded him but his bachelor pad was his own. Kohl had been showing serious signs of age. He would lose his footing and trip, he wasn't eating, and he had growths removed that tested positive for malignant bone cancer. He took his medicine like a trooper and endured his wrappings and the cone. But one look at his face told you it was time. As he crosses the rainbow bridge you can imagine his reply when he is asked what he did in life. His reply would be, "I was a dog. But I guarded wolves." We lost the 2nd half of our energizer bunny pair suddenly in December when Rukai left us. He was 12. Rukai had been running and playing earlier in the day when he suddenly went down. He had been showing the signs of age and was starting to have back problems. He left quickly. Rukai joined the Refuge November of 2007 as a young 2-year old mix. He had been in several different homes in California but was not happy. When Rukai arrived he immediately joined Ghost and the fun and happy times started immediately. For almost 10 years Ghost and Rukai were the best of friends and the ultimate pair of energetic animals to visit. You had to stand firm and be prepared for LOTS of playing when you went into their enclosure. You were not allowed to rest if you wanted to stay with them. Their leaping ability, strength, and boundless energy were unmatched anywhere at the Refuge. When Ghost passed earlier in the year, Rukai was heart-broken. He had lost his playmate of almost 10 years. However, his resiliency shone through and he recovered as he was showered with attention. He also gained a new, young playmate as Valkyrie joined him. Rukai left on his own terms. He was running and playing. His back issues had not yet advanced to the point where he was in pain. He was the happiest animal on the planet until the very end. Ghost and Rukai are together again. We hope that anyone who visits them across the Rainbow Bridge is ready for the ultimate in playtime. We lost Rowan in late August. He had no known health issues, other than ACL surgery a few years back, so this was unexpected. Rowan was 9. Rowen came to us a year after Trinity and Akayla, from Pueblo in 2010. He was their brother. His owner died and he was taken to the same shelter. Despite being very large, he was lonely and skittish when he came, bonding to only a few people. We decided to see if the girls, Juno and Siren, liked him and they did! It was such a unique combination of sizes, percentages and personalities, yet they found a way to make it all work. Even though Rowan was the biggest one in his pen he let the youngest, and littlest, penmate (Siren) boss him around. Juno passed away a few years ago but Rowan and Siren stayed together. Rowan was very shy with visitors and would choose to peek out at you from behind trees. However, once he decided that he liked you, he sat right on top of your feet and was extremely affectionate. Rowan was one of the most frequent howlers at the Refuge. When Nova was in the enclosure across from him they seemed to have conversations using theirs howls. Of course, everyone else would join in. Rowan lost his howling partner when Nova passed away in 2014. Since Rowan was so large, maybe 9 years of age isn't unusual. He was active and happy the whole time. But it is a shock to everyone at the Refuge. He was a volunteer favorite. We are glad he lived a life full of companions and visitors. We will miss his howls. Sawyer left us in August due to liver disease. He was 11. 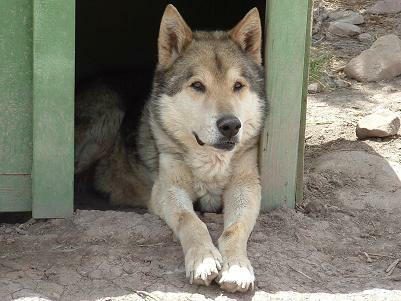 Sawyer was a dog who came to the Refuge in 2006, along with his siblings, from the Ute reservation at 8 weeks old. All found homes except Sawyer. We took him to the Humane Society so he could get adopted. Sawyer however, decided he didn't want to live at the humane society or a home and tossed a fit. He tried three different places but was not happy anywhere. He was returned to the Refuge and was happy again as he lived in the same pen he was in as a puppy. He loved his volunteers but not strangers. Sawyer lived alone for the last 5 years as that is the way he wanted it. He always had neighbors on bordering fence lines but was content to be by himself. Mojo succumbed to a rare form of lung cancer at the age of 14 in August. 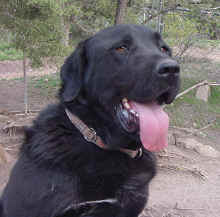 He was a runaway who came from the Durango shelter in 2008 as a 5-year old adult. At first glance, he appeared to be a low percentage animal. However, on closer examination, it was clear he was a mid to high percentage wolfie. Mojo was an escape artist. 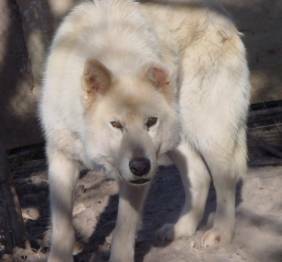 When he first came to Wolfwood, his enclosure was specially built to keep him from escaping. Instead, he climbed over the high fences into adjoining enclosures. Finally, he climbed into an enclosure that contained Aspen and Avalanche and there he stayed. They were a happy 3-pack for many years. Mojo was very social with other animals and was a great penmate. When it came to people, Mojo loved Joel. With others, he would be shy initially. He would walk around the back of his shelter but eventually come up to say hello. The Refuge lost one of the original "energizer bunnies" as Ghost left us in April due to neurological issues. For many years, Ghost and his long-time buddy, Rukai, were the powerhouse pen-mates of Wolfwood. They had so much energy, along with their large frames, that volunteers had to steady themselves for an onslaught of jumps and rubs from these two big boys. 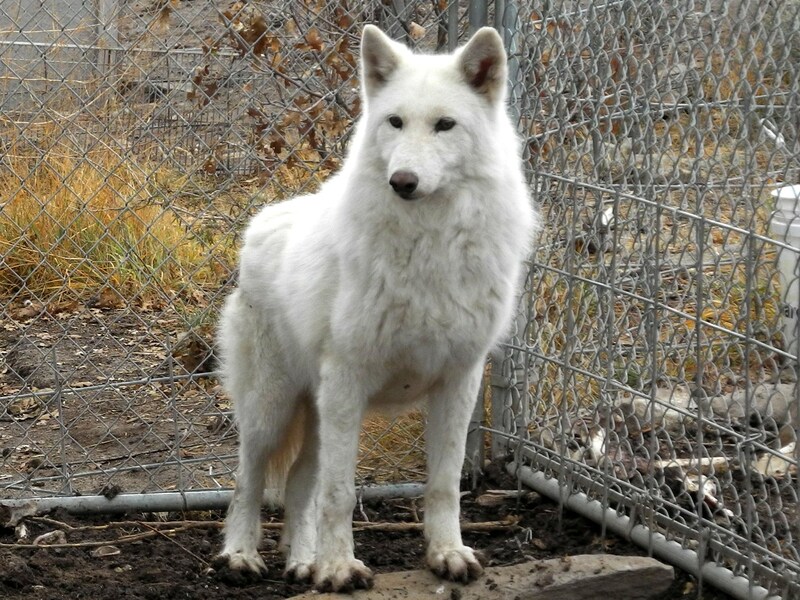 Ghost was used as a warehouse guard during his early years before coming to the Refuge. He was raised to not like people and warehouse staff taunted him, while on his chain, so he would not let people approach him. 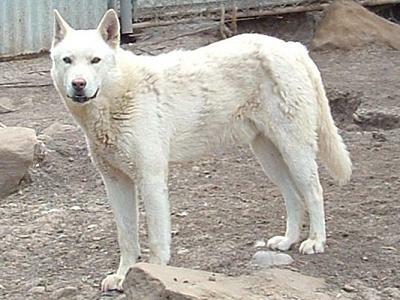 A worker took Ghost from the warehouse, restrained him, and brought him to Wolfwood in July of 2006. Ghost was 5 years old. At the time, he was aggressive and couldn't be touched. It took 9 months for Ghost to allow anyone to touch him as he slowly learned that he could trust the volunteers. Later in 2007, Rukai joined him and the fun started. Their leaping ability was unparalleled and they would run and jump all day. For the volunteers, this was the pen to visit for pure fun. They were two very happy canines. The only "request" that Ghost made was that his enclosure had to be behind Paula's house. If he was put anywhere else he refused to stop crying. Ghost maintained his strength and personality through his latter years. But he had lost control of his limbs and at 16 years old, it was time. He left with his family by his side. Rukai would not let him be removed from the pen and had to be convinced to let him go. It is a great loss to every member of the Refuge but it was 11 years of fun and joy for Ghost and everyone who knew him. In January, the Refuge lost one of its most visited pack members as Pan was taken from the pack suddenly by Gastric Dilatation Volvulus (rotation of the stomach). This condition cuts off the circulation of the blood to the body. He was 9 years old. Pan was part of a long time 3-pack that included his sister Echo along with Storm. This was a favorite stop for slightly older children as a visit with the 3-pack would be filled with kisses, nuzzles, licks, and general silliness. Visitors had to be prepared for an enthusiastic reception, especially from Pan and Echo. Pan was also a good example of a wolf/dog since he had blue eyes. Every volunteer knows that adult wolves never have blue eyes. Pan and Echo joined the Refuge in January of 2009. They came from the Larimer Shelter. Their owner had to move back east due to a family illness and couldn't take them with him. Being they were wolf/dogs, their chance of being adopted was zero. They were scheduled to be put down on the day Wolfwood contacted the shelter. So began their energetic life at the Refuge. Early on in their residency they were ambassador animals. But all 3 enjoyed the freedom of their large enclosure above all. 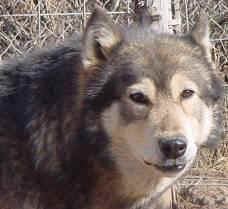 Kewa was a high-percentage wolf/dog who arrived at WolfWood in 2004, with his mother and brother. They were at Best Friends in Kanab, Utah. The owner had died and left them with nothing. Best Friends brought them to Wolfwood and helped pay for their enclosure at the very top of our hill. For years they were one of the pens visitors loved to go in. Kewa was always one of our most handsome boys and was very dedicated to his mom. After his Mom died in 2014 he went to live in an enclosure with Sammy due to failing eyesight. Sammy's enclosure was flat with no boulders that Kewa would trip over. Kewa was very happy here, but at 16 his health was rapidly deteriorating. Blindness and lameness caused him to have great difficulty getting around. He also seemed to be in pain, despite his daily medication. In an act of love and respect for Kewa, we decided to let him go in December before Christmas. Piper was a dog that came to us from the Cortez Shelter. She was elderly, starved and very sick when we got her in July 2014. She made a dramatic recovery while living with Trucker. She was our smallest animal but also one of our loudest. Our joke was to say "Piper, pipe down!" She passed away in December from old age and we were honored to provide her with a great life for her final few years. 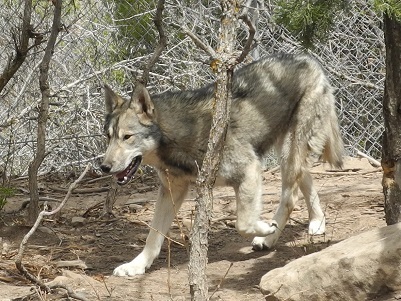 Phaedra left the pack early September. She 16 1/2 and was our last arctic wolf. 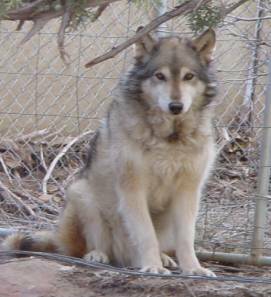 Phaedra was a high percentage wolf/dog that came to Wolfwood, with Atlas, in the summer of 2004 from Gunnison, Co. They were found starving when they were caught by animal control. She was born in 2000 and lived with Atlas until his death in 2012. Phaedra and Atlas were both large animals and they lived in the largest enclosure at the top of the hill. Phaedra was always a bit shy and protective of her food. However, once you became her friend she was happy to give you a friendly wolf rub that would push you over if you were not expecting it. She was living with Bo before he passed and with Archie the past 2 1/2 years. She had a strong heart but her body succumbed to the effects of age. Phaedra was a beautiful, regal member of the pack. We lost Avalanche in January. She was 10. 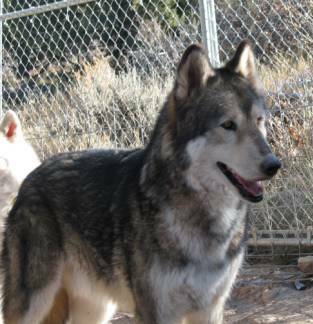 Avalanche was one of our low percentage wolf/dogs and was a mix of Malamute and wolf (mostly Malamute). She was a good example of a key difference between wolves and dogs. 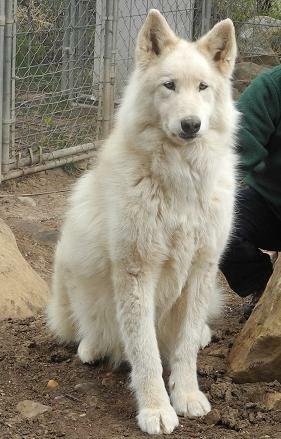 Avalanche's tail was always high and curled, the exact opposite of a wolf's. Avalanche came to the Refuge as a puppy in 2005. Because of her low wolf percentage she was adopted out to a good home. She grew up to be a very sociable and friendly adult. However, in 2009 her owner went through a divorce and couldn't keep her any longer. As per the adoption agreement, her owner brought her back to the Refuge where she eventually joined up with Mojo and Aspen to form a very active 3-pack. This was always a fun enclosure for the volunteers to visit. Avalanche ended up being the dominant animal and became the boss of the 3-pack. When meat was given out she made sure she had first choice of the food although she would share once she has made her selection. In the last year or so Avalanche started slowing down noticeably. She was not as active and it was clear her time was approaching. She succumbed to the complications of latter years. Avalanche had a good life. Caring companions, human and canine, always surrounded her. She was never alone and never abused. Travel well. 2015 left the Refuge on a very sad note as we lost Sita, one of the Alaska 9 wolves. She was 4. Due to her young age and apparent healthy condition we had an autopsy done. Nothing wrong was found on autopsy and since we know that her half-brother Torq has a seizure condition, it was concluded that Sita died from a massive seizure. The Alaska 9 came from a bad-breeder and there are lots of family traits shared throughout the 9. Torq has had small seizures since he was a puppy and is on medication for that. Sita had never had a seizure before. It is believed that bad breeding resulted in neurological problems. 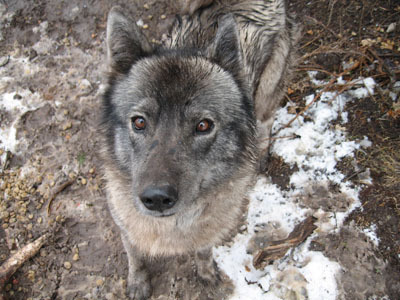 Sita joined the Refuge in 2011 as a weeks old puppy with the rest of the Alaska 9 pack. She came from Alaska after a breeder was shutdown and arrested. Sita was one of the smaller puppies but she quickly grew and caught up in size to the larger pack members. She lived and played with the pack until they reached maturity. At that point, the Alaska 9 split themselves into two packs. Sita, her sister Ginger and her brother Billy became one pack and the other 6 wolves became the second pack. Sita's 3-pack had a new enclosure built for them and its large size and abundant brush and trees made it perfect cover for the shy 3-pack. Sita was always one of the shier wolves of the pack. She was a perfect example of how a wolf would do things in the wild. She would cautiously approach a very patient Refuge volunteer and then sniff. Sometimes a lucky visitor would be able to catch a glimpse of her through the vegetation. But she did not like to be petted and would scamper away if you raised your arm to pet her. However, if you didn't, she would start to go after the shoelaces on your boots. You had to be careful because she was very good at getting enough of the shoelace off to steal your boot. She would run around the enclosure with it waiting for you to run after her (without a boot). She clearly had the advantage. You quickly learned that chasing her was futile. It was better to just wait until she got bored with your boot. As with humans, we can lose loved ones for no apparent reason. Wolves are no different. In this case, we have lost one of our children. One who we fed and cared for as a baby, had the adventure of going through the challenges of the "terrible twos", played with as a "teen" and watched grow into a beautiful, young, female wolf. We lost her too early. Life will go on at the Refuge, as it needs to do. Ginger and Billy are still watching for Sita but they will adjust, as we all must do. The Alaska 9 pack will still remain the "Alaska 9." But, things will always seem a bit different at the lower part of the hill. There is a big, strong, young wolf watching over her pack members now. She leaves a hole in our hearts and we will miss her profoundly. Cinder left the pack in December. She had a growth and was scheduled to go to the Vet. But, when Paula and Joel went to get her, she had already passed. They found her in her house with her pen-mate Sam by her side. She was 12. Cinder was not a wolf, or a wolf/dog; She was a dog. She filled a very special role at the Refuge, that of a hospice companion and a caregiver to some of our most needy pack members. She joined Wolfwood in 2008. She had her foot crushed in a coyote trap and was at the La Plata County Humane Society for almost a year. Because of her foot, no one would adopt her. The shelter did not want to put her down so they called Wolfwood to see if we could take her. 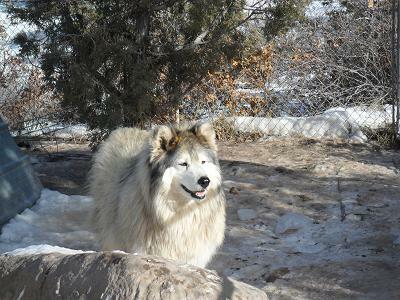 Cinder had the right type of fur for the outdoor life our wolves have at the Refuge and she could take the cold winter temperatures. She joined the pack. Cinder became a "hospice" companion to Mac, one of our older animals with cancer. She brought him presents and he gave her kisses. After 2 years, he passed and Cinder got another older animal, Coco, to take care of. She became his friend to the end. Cinder then moved in with Tacoma. He was a large, shy wolf/dog with a bit of a temper. 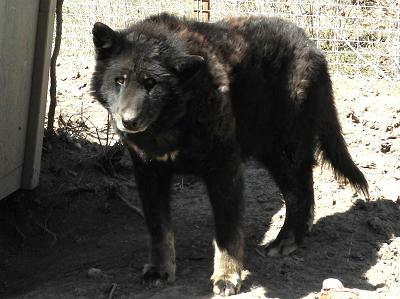 Cinder became his protector and made sure no one would approach Tacoma's gate or enter his pen without her permission. Tacoma calmed down and his fence fighting stopped. The little dog had calmed the big wolf/dog. Her last charge was Sam, an exceptionally shy, isolated animal. Cinder made sure Sam got his food and ate it. She again guarded the gate and made Sam feel safe. Sam eventually started coming out of his shell. Cinder was unique. She took her roles seriously and was the ultimate canine caregiver. She liked people and liked to be petted but made sure everyone knew her most important role was the protection and caring of her pen-mates. Those of us at the Refuge knew and appreciated the vital role she held. The pack and the volunteers thank you Cinder and wish you well on your journey. We will miss your nurturing instincts. Juno left us in October. We believe she was about 15 years old. She was the elder member of the unlikely group that included Rowan and Siren. She came to the Refuge in 2008 from the Farmington animal shelter. 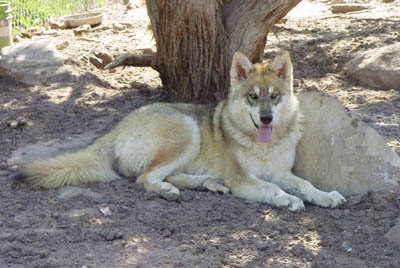 She had been found running loose with her mate, Jasper, and both had been identified as wolfdogs. We picked them up the day before they were scheduled to be put down. Juno was exceptionally stressed and had given birth to a litter of puppies some time before we brought her to the Refuge. The puppies didn't come to the Refuge and were already adopted out to families. Juno and Jasper quickly adjusted to regular meals and stress-free lives. However, Juno's days as a mother were not over. Since the Refuge doesn't breed animals, Juno was spayed as soon as practical when she joined the Refuge pack. But, shortly thereafter, the Refuge got a call for a rescue of a group of "Mexican Red Wolf" puppies. Of course the group did not have an ounce of wolf in them, but we agreed to take them out of their bad situation and brought them home for Juno to foster. She was a great mom and we found homes for all the puppies with the help of the La Plata Humane Society, except Siren, who we kept to be Juno's pen mate. Juno was the quietest of her 3-pack. Rowan is a champion howler and Siren is a barker. Juno wasn't shy but she seemed satisfied to let the two younger members of the group get all the attention and make all the noise while she watched. Juno was happy and healthy during her 7 years at the Refuge. She always seemed content and we believe her passing was quiet and peaceful. Rufio was our eldest and longest reigning member of the pack when he left us in August. He was 17. 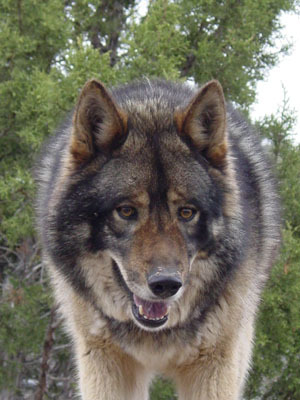 Rufio was a huge Malamute/wolf mix and was the last of the animals that came from the original location of the Refuge in Pagosa. Rufio is a true success story for Wolfwood. He came to us from the Jicarilla-Apache Reservation in October of 2001 at the request of the Pagosa Springs Humane Society. He was rescued after being starved for several days and was found lying down in a small kennel with no water or food next to a dead dog. This understandably put him in a very bad mood and we had to use a bite suit and 5 hours of effort to transfer him into the truck and into his pen. For the first 6 months at the Refuge, Rufio wouldn't let anyone touch him. It took a while, and a lot of patience, but Rufio grew strong and healthy. He eventually learned to trust the volunteers and relish in the rubs he would get. He liked his pen and refused to move to larger pens or live with anyone else. While he loved his human visitors, he could be shy around men he didn't know. He was a big love-muffin to the volunteers but didn't see visitors very often. Rufio was one of our best diggers and dug one of his dens at least five feet deep. However, last year we had to fill in the den as Rufio would climb down into it and couldn't get back out. He slowed down with age and his large frame moved slowly. He welcomed the rubs from the volunteers but you could sense that the time was coming. For such a large animal, his longevity was remarkable. He left us with his big, beautiful, red head on Paula's lap. Rufio's story is one of the more dramatic ones for the Refuge. He went from a starved, abused animal that didn't trust anyone to one that led a long, healthy life with lots and lots of loving. He was happy and content for many years. We will miss him and wish him well on his journey. It was wonderful to have known him. We lost one of our elder members of the Refuge as Ria left us in May. She had been suffering from seizures and despite the efforts of the wonderful team at Bayfield Animal Hospital, she succumbed to the complications the seizures caused. She was 14 years old. Ria was born in 2001 and came to Wolfwood in 2004. Her previous owners were involved in a divorce dispute and abandoned her in Pahrump, NV. She was found but was about to be put down when an email was sent to Wolfwood describing her plight. Craig went to get her and she found a new home at the Refuge. She was a beautiful animal and was very shy. Ria would not approach you but would not run to hide from you either. She lived with Big Timber until his passing in 2013. She then moved into Ranger's large pen and lived with him until his passing in 2015. Her time with Ranger changed Ranger's personality and he became much more outgoing as he assumed the role of protector for Ria. However, after Ranger's passing, Ria started having seizures. She was moved to a small, protected enclosure next to Paula. Medication and treatment were started but the seizures continued. Ria enjoyed a long, full life at the Refuge with lots of companionship, food and space. She was a strong, healthy and beautiful wolfie. She can now roam freely. We lost Ranger in February. He was at least 14 years old. Ranger and Willow were found together in August of 2004. They had been running loose in the mountain passes near Longmont, CO. Ranger had been hit by a car and was seriously injured. Willow refused to leave his side. With Ranger's injuries and Willow's insistence to stay with him, Animal Control was able to rescue both of them. 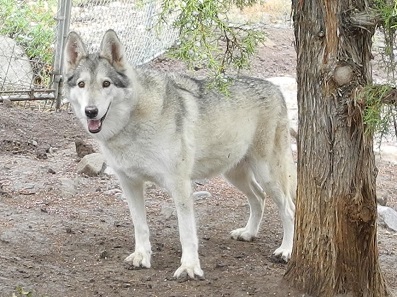 Wolfwood was contacted and their story at the Refuge began. Ranger's injuries were healed, both were treated for their ailments and the two of them were reunited in the enclosure where Ranger became famous for his rock climbing. Ranger was a large, athletic, strong animal. However, with Willow as a mate, Ranger tended to be shy as Willow was the more outgoing of the two. But, with enough patience, he would approach you. It was considered a great honor for Ranger to come up to a visitor. With the passing of Willow in March of 2013, Ria joined Ranger. Ria was shier than Ranger and Ranger became more outgoing. It was an interesting change to observe. In his later years, Ranger suffered from a nerve ailment that made it difficult for him to maintain his stance. He wasn't in any pain but his mobility became limited. Many of you knew him and loved Ranger. He was a big part of WolfWood's history and our lives. We take comfort in the belief that he will be reunited with Willow, the love of his life. He was, most definitely, the King of the Hill. Minnie passed away in January. We believe she was 11 years old, but aren't sure. She was a sweet and quiet Refuge pack member. When Minnie came to the Refuge in 2005, from a private party in Utah, she was small and thin. That's why we named her Minnie. Lots of exercise and a proper diet allowed her to grow to full size. 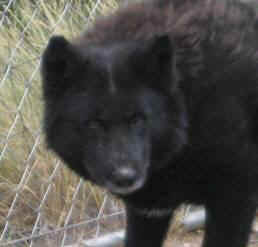 Minnie was exceptionally shy and was the most elusive wolfie at the Refuge. She was rarely seen by visitors and only seen by a few volunteers even though she had been at the Refuge for over 9 years. During feedings she would always retreat to a far area of her enclosure. The volunteers respected her wishes and did what they needed to do (feed, water, pen cleanup) and let her be. She did not like to be petted at all and wouldn't approach people. She lived with Little Timber and later on with Justice. Justice had become very attached to her and she was the first animal that he wanted to be paired with. Minnie was a wonderful companion to her pen mates and we will miss her. We had to let Topaz leave us in early December. He was 17 and was the eldest member of the Wolfwood pack. Topaz was unable to get up and move around. With winter rapidly approaching, the tough decision had to be made; it was time. Our vet, Dr. Wagner, was there along with Paula, LaVonne, Ben, Joel and Pam. Topaz's wolf neighbors also realized what was happening and stayed by their fences and talked to him. He went quietly in Joel's arms. 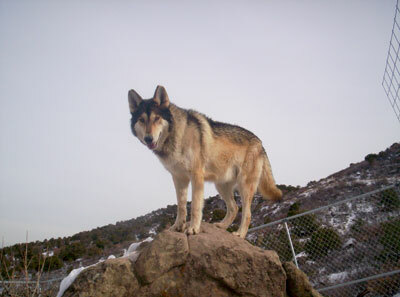 Topaz was captured in northern Colorado and came to us in late 2000 through Table Mountain Rescue. 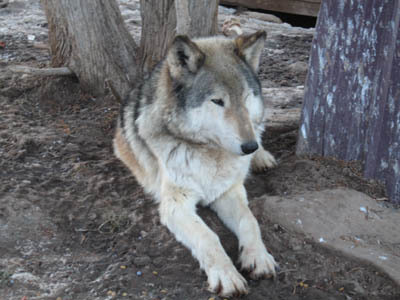 He was a high percentage wolf and was very shy around people although he enjoyed the company of quite a few of our pack members over the years. 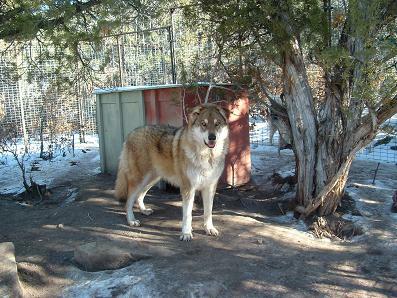 Topaz and Rufio were the last of the wolfies that moved to the current Refuge location from Pagosa. 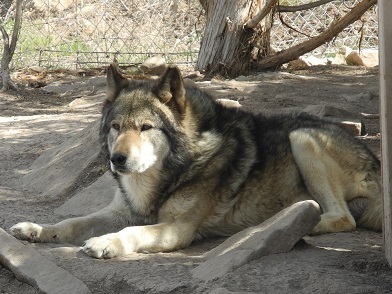 Topaz was one of our most beautiful and gentle wolves. We enjoyed his presence and company for many years. All the members of the Wolfwood pack, both human and canine, wish him well on his journey. His was a life well lived. Athena left the pack in late November. She was 11. 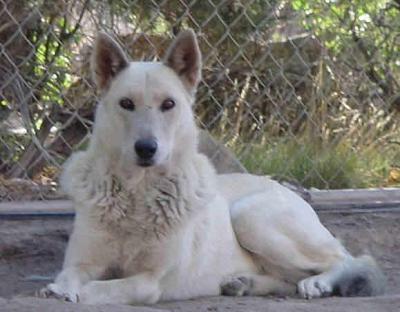 Athena joined Wolfwood in April 2011 from the Aztec Animal Shelter. The shelter could not adopt her so we helped them out and saved her. 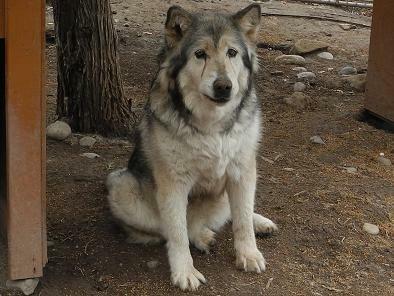 She was a small malamute mix with an endearing personality. Athena became a regular member of touring events for a couple of seasons and then remained one of the most popular visitor stops at the Refuge, especially for the younger children. She was playful, gentle and gave countless kisses and endless fur to her visitors. The lines to visit her were always long and she never tired of it. However, she had been slowing down recently as age set in. Her time at Wolfwood was well spent. She had plenty of room to roam, lots of food and more face-to-face visitors than just about any other animal at the Refuge other than Trinity. Rest easy, girl. We lost Odin to colon cancer in early August. He was 8. 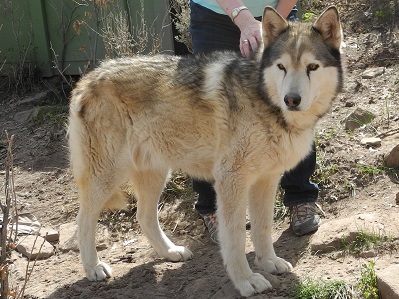 Odin arrived at the Refuge in April of 2012 from Albuquerque NM. Tom, who is one of our regular volunteers, rescued him. He saw Odin's plight and wanted to help. 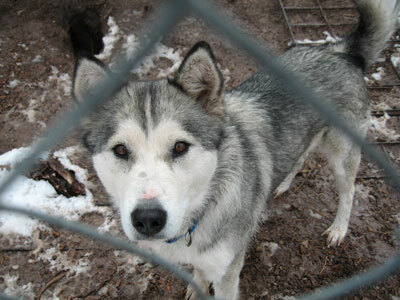 The young couple who had him could not care for him properly and Odin was emaciated with a terrible coat. Tom convinced the couple to turn him over to WolfWood and brought him to the Refuge. Dr. Wagner found a mass in his intestine but Odin was in no shape for surgery. We put a few pounds on him and got him settled in. Then Dr. Wagner removed the mass, neutered him and checked his tear ducts, which were congenitally closed. Odin regained his full weight and his fur was soft and shiny. He made a great recovery, but one of the tumors was found to be cancerous and it was only a matter of time. When you approached Odin, he acted like a perfect gentleman and he would gently walk up to meet you to say hello. He wasn't one of the animals who was seen by the casual visitor, especially after his surgery, but he became a favorite of several long time volunteers. It is hard to explain the effect that Odin had on those who knew him. He had a presence that defied explanation. The best way to help understand it is to describe the effect he had on Destiny & Majesty, two of our other pack members. Destiny was extremely shy and energetic before she was put in with Odin. After they were paired, Odin made sure Destiny knew when she crossed the bounds of good behavior. It was wolf limit setting at its best. Destiny learned the rules and, all of a sudden, became very outgoing. She craved attention and pets. She went up to people. However, after Odin's surgery, they had to be separated to let Odin heal. Destiny went back to being extremely shy and she still doesn't approach people. Odin made her feel safe when they were together. 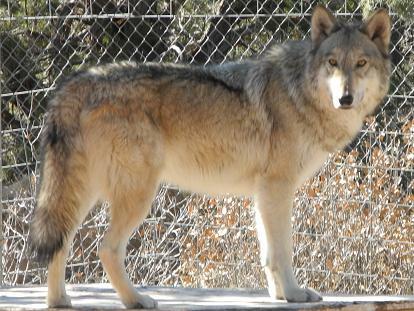 Odin was next put in an enclosure adjacent to Majesty, one of our more temperamental wolfies. While the change in Majesty wasn't as dramatic, there was a definitive change. Majesty calmed down a bit and loved the attention of Odin. Maybe Odin had the same effect on the volunteers? What had to be done was done. Odin was strong and he did better than anyone could have hoped. But he was in pain and left surrounded by his friends. It was time. Rest easy, big guy. It was a pleasure to know you. We lost Skyla to lung cancer in June. She was 15. Skyla and her son, Kewa, came to Wolfwood during September of 2004 from the Best Friends Animal Society in Utah. Their owner had died suddenly and they were left alone. They stayed at Best Friends for several months and then were brought to Wolfwood thanks to funding for their enclosure and the dedication of Best Friends. Skyla and Kewa always lived together at the Refuge. Skyla was the more outgoing of the two with Kewa staying more in the background. Skyla's personality made her extremely popular for Wolfwood visitors who wanted to interact with a wolfdog as she would bathe visitors in kisses. But, being a Mom, when she decided visiting time was over, it was over. She would join Kewa in another part of the enclosure and the Wolfwood volunteers would know to move on. Skyla didn't appear to have any issues until one day, at feeding time, the volunteers noticed she wasn't her usual bouncy self and she wouldn't get up. A visit to the vet confirmed the worst. We mourn the sudden loss of Skyla. We know she didn't suffer and we can't question the wisdom of how things come about in nature. She had a long, wonderful life at the Refuge surrounded by family, friends and many visitors of all ages. For that we are thankful. We lost our beautiful Nova in early May to a sudden and massive stroke. We rushed her to the vet where everyone fought valiantly to save her but the damage was too great and she passed away in Paula's arms. She wasn't aware of much but she knew Paula's voice and heard her talking until the every end. She has left those of us who loved her to run with Nokomo on the other side. Nova was 8 years old and was our resident Diva. She came to us, at the age of 2 in August of 2008, from a local owner who could not keep her. She was loved, but her situation was no longer tolerable. In 2009 she was paired with Nokomo, who had recently lost his father and packmate. Nokomo and Nova were large, powerful, dominant animals and we expected this attempt to be especially difficult. As usual, the wolves had their own ideas about how things should go. Nova was strong, smart, beautiful and willful. In other words, Nokomo met his match! With very little drama, Nova and Nokomo became a happy couple and lived together for 4 years until Nokomo's passing in early 2014. A trip up to the top of the Refuge would often be met with the beautiful howls of Nova. Sometimes it seemed Nova and Rowan, who was in a nearby enclosure, would be having a conversation with their howls. Visiting Nova was an experience. She was a large, confident animal who loved to be petted and would reward you with her wonderful howls. Nova thrilled us with her howls and loved us with her companionship. She is sorely missed. Adama left us peacefully in May. He was 15. 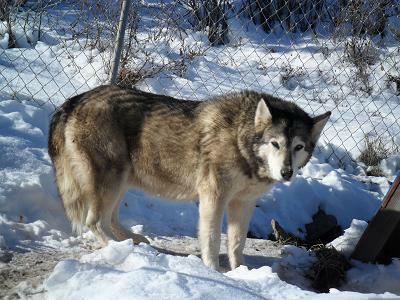 Adama was a long time resident of the Refuge and came to Wolfwood during February of 2005. When he arrived, he was very thin and "shell-shocked" from his previous experiences. We believe he was born around 1999 but, since he was a stray, we aren't sure. He was named after the volunteer who found him in Englewood, Co. and brought him to the Refuge. Adama was very sweet and would let you pet him all day until you gave him his food; then he preferred to just eat to his heart's content. He lived with Misty until her passing in 2013. After that, age and time seemed to catch up with Adama. He slowed down and even turned down pets when he was tired. That changed with the arrival of Stella in September of 2013. Adama seemed like a changed wolfie. He was lively (relatively), he was excited, he was happy and he wanted to be petted. The volunteers noticed the change immediately. You might even speculate that it was Stella's company that helped Adama make it through the winter. But time moves on and aging doesn't stop. Events are expected although the timing is always unsure. Stella helped make Adama happy and content the last 6 months. He enjoyed visitors again and wasn't in any pain. Paula and Ben were with him when he left. We will miss his big, furry presence and his gentle manner. We lost one of our elder pack members in April with the passing of Little Timber. 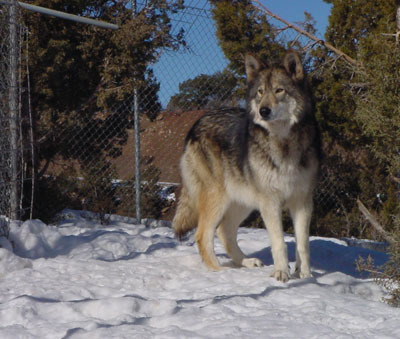 He was one of the last three remaining wolves that we moved to our current location from Pagosa. 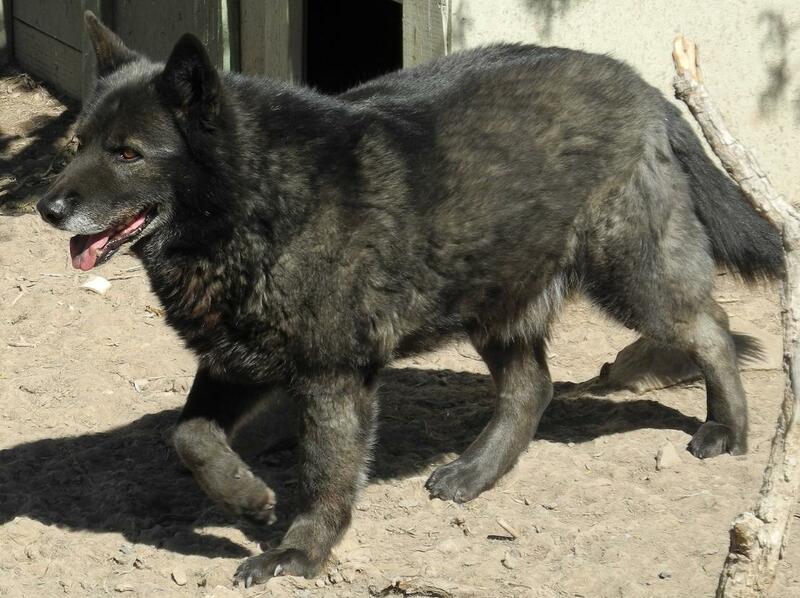 Rufio and Topaz are the remaining two wolves and both are advanced in age. Little Timber was 14. 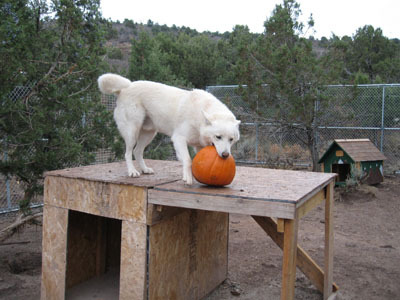 Little Timber came to the Pagosa location of Wolfwood in 2001 from a private party in Virginia. He was a dominant animal that got along well with Craig and Paula but did not approach strangers. He lived with Minnie, whose shyness was a good match for him. They lived in an out-of-the-way section of the Refuge due to their shyness and would retreat to the back of their enclosure when volunteers came to visit or feed them. Little Timber had a long, peaceful and healthy life at the Refuge. He continues on his journey with the departed members of the pack. Nokomo left us in March due to kidney failure. He was 13. He came to us with his father, Shilo, in 2003. His ex-owner had 6 wolves and used some of them in movie work. The owner went to jail and left the animals with no one to take care of them. After a couple of weeks the wolves finally broke out of their pen. Unfortunately, 4 of them were shot, but Nokomo and his father were captured and flown into Durango airport in a Cessna, where we picked them up. Nokomo was food aggressive because he starved for so long. Nokomo's father died in 2009, at the age of fifteen, and Nokomo became depressed. He was alone and unhappy, which is why we decided to try to put him in with Nova. Mixing adult wolves that don't know each other is one of the hardest things we do at WolfWood. In the wolf world, if you are not family you are automatically considered to be dangerous. Because we get many of our animals as adults and because most of them have been abused, pairing them up can be very tricky. We have a set protocol we go through when attempting to put new animals in with each other. But, because we could not leash Nokomo, and because both he and Nova were large, powerful, dominant animals, we expected this attempt to be especially difficult. As usual, the wolves had their own ideas about how things should go. Nova is strong, smart, beautiful and willful. In other words, Nokomo met his match! With very little drama, Nova and Nokomo became a happy couple and lived together for 4 years. Nokomo is a testament to the resiliency that these amazing animals are capable of. We will miss his rough and tumble style. 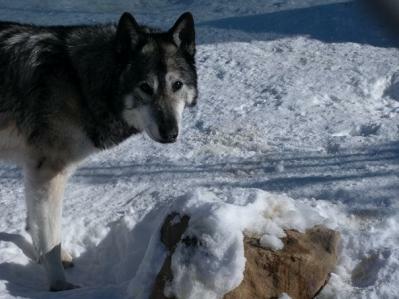 We lost one of our longtime residents in early February as Lakota passed away in his sleep. He was 15. 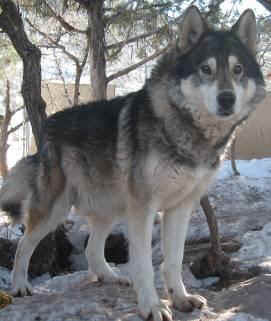 Lakota came to Wolfwood as a young 3-year-old in November of 2002 from the Table Mountain Animal Shelter in Golden, CO. He started off a little shy around people but hated to be by himself. He would try to get attention from people by gently nipping them on their butts. He wasn't really biting them; he was looking for attention. In 2007, Lakota had a sudden medical emergency when his stomach flipped. This is usually a fatal condition but it was caught quickly and surgery saved him. Lakota was healing the same time we received Tavi who was equally under the weather. They healed together and became best friends. Lakota had found his partner. With Tavi around, Lakota became much more social with people. He would still walk up behind volunteers and poke them with his nose, but he was no longer afraid to be petted afterwards. He was a sweet wolf who passed on in the same gentle manner he lived. Tavi and the Wolfwood family will miss him. We lost Bo in December. It was unexpected, as Bo appeared to be in good health. He was 8. Bo came to Wolfwood as a 7-year-old during April of 2012. He came from Sedona, AZ and had lived with the same family his whole life. His owners loved him, but could not care for him when they had to move. They could not build Bo an escape-proof fence and he had been running loose for almost a year. He hung around his family, but eventually got in trouble and had to come to WolfWood. They had been connected to WolfWood for a number of years, so we made a home for Bo at Wolfwood. Bo was always shy and preferred to avoid people in his 1 1/2 years at the Refuge. This is not unusual for many Wolfwood pack members. He had recently been warming up to his penmate, Phedra, and seemed to be engaging just a bit socially. He was an interesting character and we are happy that we were able to keep him safe, secure and well fed the time he was at the Refuge. Nature made the decision to take Tacoma in late November as he passed one night, quietly in his enclosure. He was 13. Tacoma came to us in June of 2003 from a private party in Farmington, NM. He tended to be very shy around people he was unfamiliar with. It was always fun to watch him as you approached his pen at the corner of the hill. Cinder, his penmate, who was much smaller than Tacoma, would bark up a storm at strangers. In the meantime, Tacoma, who was quite large, would stay in the back away from the unfamiliar people. It always seemed like Cinder was showing off for Tacoma. Tacoma used to be somewhat territorial around the shared fence areas. However, Zion was his neighbor over the recent times and they got along just fine. That corner of the Refuge has lost two gentle souls. Our long time resident and ambassador, Zion, left us in November. He was 13. Zion came to Wolfwood March 2004 at the age of 4. He had been confiscated from a party in Illinois because wolfdogs were illegal and Zion was running loose. He was rescued from the kill shelter by a couple who nursed him back to health after his bout with heart-worm. A dedicated group of people worked very hard to keep him alive and get him to Wolfwood. The heart-worm did do some permanent damage and thus he was not the most active wolf. He was a bit shy and quiet but loved children. He became an ambassador for Wolfwood and served for many years. After he retired, he still greeted visitors to the Refuge and relished in the attention of the children. They loved him and he returned their love. Zion was a favorite among all of us and loved everyone, especially kids. He will leave a large empty place here at the refuge. We lost Inepae suddenly and unexpectedly due to cardiac issues in July. He was 12. Inepae was always considered one of the happiest animals at the Refuge due to his facial expression and personality. He was always happy to see people and give them lots of loving. He came to Wolfwood in 2005 as a German Shepard mix. He had been a family pet who had been on a chain his whole life. He was a strong and energetic animal, but he came with a bad habit of nipping people to get attention. He also was almost blind, and so would bark if he didn't know you. It took quite a long time, but he finally learned to settle down and not use his mouth for attention. He loved to be petted and lean into his friends. Inepae lived with Anis these past few years, until she passed away. He then lived with Ipo but her puppy energy was a bit too much for him so he lived the last few months as a contented bachelor protecting the corner of the hill. He left us at the Refuge in the environment he loved and enjoyed for many years. He was a joy and it was a pleasure to have known him, pet him and played with him. The pack lost one of its elder residents in May as Johnny passed on. He was 14. 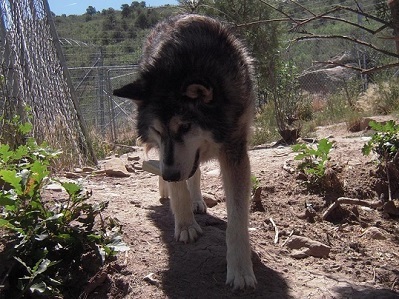 Johnny was one of the animals who came from the original location of Wolfwood in Pagosa. He came to us in February of 2001, along with his brother Essa, from animal control in Idaho. They were a mix of Husky and wolf. When Johnny came to Wolfwood he was not socialized and he retained those characteristics his whole life. He barked a lot and, generally, avoided contact with people. After Essa passed away, Johnny lived with Ateira until she passed in 2012. It was a good match as her dominate personality could handle Johnny's barking. Johnny has now joined his former penmates. Noche was 15 and was one of our elder residents. He came to Wolfwood in December of 2001 via W.O.L.F as a 3 year-old. He was in the Table Mt. Shelter and W.O.L.F. did not have room for him. Noche was strong and curious, but shy. He sometimes would approach the fence to check you out but then move away and watch you. Once in a while, he would even let out a bark. If you went into his enclosure, he would move to the opposite side and avoid you. Noche had a very thick coat and since he was a low-percentage animal he always seems to be shedding. He lived with Dodi until she passed in 2010 and was a bachelor since then. Noche was a big teddy bear of an animal. But, he was in pain and had difficulty moving around due to cancer. It was time for his spirit to be released. 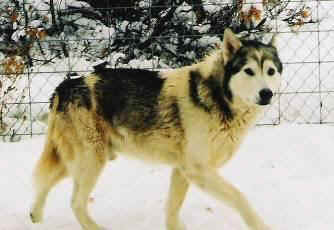 Misty was 17 when she departed the pack. She was the last remaining member of the Oakland 6 pack that came to the Refuge in 2002. Due to the abuse the pack endured before coming to the Refuge, Misty was especially cautious around men but warmed up to the female volunteers. Misty lived with Rosie for many years. When Rosie passed away, Misty became very shy and a bit standoffish. She eventually moved in with her neighbor, Adamma. She became Adamma's girlfriend and they were our elderly, crotchety couple. She survived the winter but got too weak to get up and move around. She was a sweet old girl and a special friend to some of the volunteers. She can now rest in peace with the other members of the Oakland 6 pack. Big Timber died of natural causes at the age of 13. He had lived at the refuge since 2002 and was part of the Oakland 6 pack that was rescued along with Misty and Cassidy. The Oakland pack was a group of 6 wolves that were used to protect a meth-house in Oakland, CA. Six animals were chained to each other, neck to neck. The captives were thrown unopened cans of refried beans to eat and were malnourished and emaciated. They were brought to Wolfwood where the long road of rehabilitation began. Big Timber was a high-percentage animal. He was handsome, strong, smart and athletic. Those features made him a bit of an escape artist and special precautions had to be taken to keep him from having adventures beyond his enclosure. He was somewhat shy but quietly welcomed those he knew well. He was a favorite of Paula. Ria was his pen mate and she was very attached to him. As with Cassidy & Misty, Big Timber is a glowing testament to the reason for the existence of Wolfwood. On March 8th, 2013, we lost one of the true gentle souls of Wolfwood. Willow did not survive surgery performed to remove large tumors. She was 12 years old. You cannot tell the story of Willow without also including Ranger. The two were inseparable and if there ever was a "Love Story" movie based on animals, Willow and Ranger would star in it. Willow and Ranger were probably born around 2000. Both are medium percentage animals. 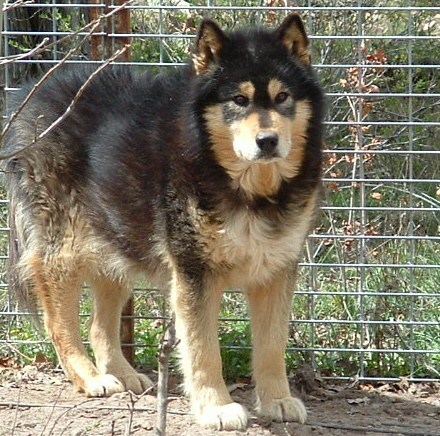 Willow was a Malamute/Wolf mix and consequently, was a very large animal. Nothing is known about their time together prior to 2004 when they were found starving, infested with parasites and running loose in the mountain passes near Longmont, CO. However, it was clear that they were a pair that cared deeply about each other. In August of 2004, Ranger had been hit by a car and was seriously injured. Willow refused to leave his side. With Ranger's injuries and Willow's insistence to stay with him, Animal Control was able to rescue both of them. 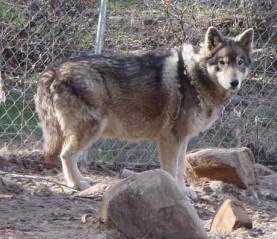 Wolfwood was contacted and their story at the Refuge began. Ranger's injuries were healed, both were treated for their ailments and the two of them were reunited in the enclosure where Ranger became famous for his rock climbing. They were a perfect match; Both were large, confident, athletic, strong animals, with Willow being the much less shy of the two. Willow's size and temperament made her a favorite Ambassador for Wolfwood. She would visit schools and other events where children and adults alike would wait their turn to hug and pet the big "love muffin." In return, Willow would shower them with kisses, rubs and lots of fur. She was tireless in support of the Refuge. At the Refuge, she would sit in your lap and enjoy being petted for as long as you wanted. This was quite a feat for the volunteers since Willow weighed well over 100 pounds. But, no one seemed to mind. In the summer of 2012, Willow retired as a traveling Ambassador after the Lake City event. But that didn't mean she was done getting attention. She still loved having visitors of all ages and welcomed people at the Refuge, especially children. While Ranger would avoid the hubbub of the attention, Willow relished in it. If she grew tired during the large visits, she would simply walk away to join Ranger in the far part of the enclosure. She was magnificent to watch whether surrounded by people or simply enjoying Ranger's company. The circle of life continues at the Refuge. It is inevitable, it is natural and it must be accepted. But, that doesn't mean it is easy. This is one of those times. 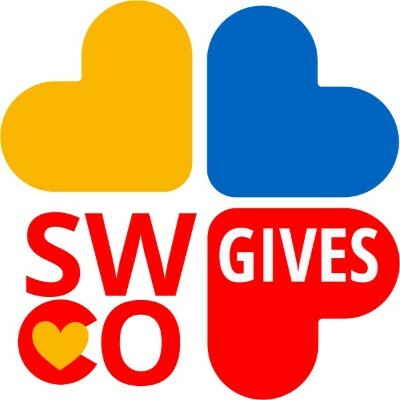 Our thoughts are with Paula, Craig, Ranger and all the Wolfwood volunteers. Many people had the privilege of knowing Willow well. For that, we are thankful and blessed. We lost our beautiful singer, Kia, in early February. She was 14. Kia went to the vet to have a growth removed from her neck. She came through the operation fine, but died unexpectedly during the night. It was discovered she had lung cancer. Kia was a very sweet and affectionate girl who loved people. Her pen mate, Casey, had just recently passed away. Even though she had lost her voice, she would still throw her head back and try to sing for all the children who came to visit Wolfwood. 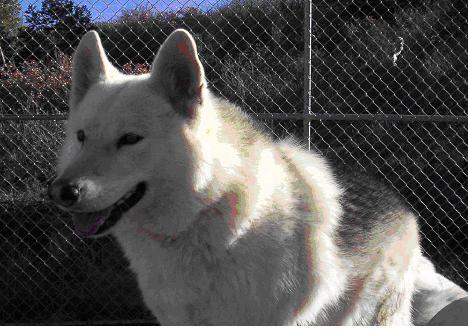 Kia joined the Wolfwood family September 2002 from Berkeley CA and was famous for her howl. She loved to show off for people and was one of the few animals that would, sometimes, howl on command. However, a stroke in 2012 affected her vocal cords and ability to howl. She still enjoyed trying to howl, though, and the pets and rubs she received as thanks made her extremely happy. She had a "teddy bear" appearance that made her seem much younger than she was. She did not like to be brushed even though she loved to be petted. But, after the muddy season her coat had be shaved off in the summer months to get rid of the matting the season produced. This left her with a unique look among the members of the Wolfwood family. She loved company and would hurry to meet new visitors whenever they came up the hill. She lived with Casey until his death early in 2013. Going to the top of the hill won't be the same without seeing Kia's smile. She led a long and joyful life at the Refuge. Sing on Kia. We lost Casey during a severe cold spell in January as he was unable to get up and move. He was almost 15. Paula and Serena took him to the vet and did what needed to be done. Paula talked to him and petted him and he went very quietly, as was his nature. He was ready. Casey and his 3 siblings were born at the refuge in 1998 after we took in their elderly, pregnant mother. Shortly after giving birth she passed away. Most of the litter was affected with dwarfism and Casey was the last of his family, outliving his sister Heidi by 2 years. He was always shy, but a teddy bear of an animal with distinctive coloring. Kia, his penmate, is missing him, as are we. Ateria was one of the senior, long-time members of the Wolfwood family and was 16 years old. She came to Wolfwood in March of 2002 from a shelter in N.M. when employees called us instead of putting her down. She was shy and would not come up to people but would watch warily from a distance. She loved to dig dens and lived with Saber and then Johnny and was dominate with both. We will miss her sweet face. Atlas came to us with Phaedra, in 2004 from Gunnison, Co. They were starving when they were caught by animal control and brought to Wolfwood. They got their names because the Greek Olympics were going on at the time. Atlas was very friendly and loved everyone. He was an active and strong animal but loud noises scared him and he hid under his doghouse if scared. His penmate, Phaedra, guarded him if she thought there was danger. He was 12 this year and developed inoperable cancer. When he lost all his hair and was very uncomfortable we decided he had been strong enough. Phaedra misses his happy personality and she will get a new friend in a few weeks. Bruno was a gentle giant and a favorite here at the refuge. He was a big, strong affectionate animal who loved everybody and looked forward to children coming to visit him even at the end when he was hurting. Bruno was 13 and already had one operation to help his cancer. He had lived with many different animals since he came to the refuge in March of 2002 and most recently Trucker. His smile and heart will be missed. Domino was the last of our original 9 pack that came to the refuge in 1997 and was 16 years old. He lived with Trinity at the end of his life and was stressed to be separated from her because of her hip surgery. He was submissive to his pack members but would always defend Trinity. He would bark at strangers and did not like to be petted unless you gained his trust and he knew you well. We mourn his loss and the loss of the last animal of the beginning of it all. Heidi was born at the Refuge when we were in Pagosa. Her mother came in pregnant at a very old age and died before Heidi was a year old. Two of her siblings have already died from complications of dwarfism. She and her brother Casey lived together their whole lives and never really liked to be touched by people. Heidi died on a winter evening. Her brother, Casey, now lives with Kia. Isis was our oldest animal at almost 17 and came to the refuge with two other animals in the summer of 2005. Her owners were getting divorced and didn't want the three animals anymore. She was the last of her original pack to be still with us. Isis was extremely shy and one of the more elusive members of the Wolfwood family. She lived happily with Smokey, Topaz and Chica but was still the boss even at her advanced age. She died in her sleep one night. Her family will miss her. 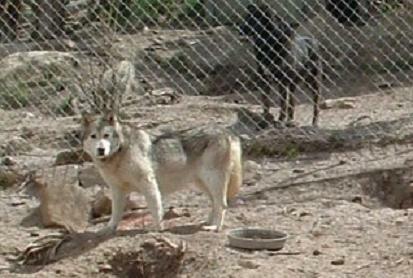 Nomad was 13 and came to the Refuge during November of 2004 from the Aztec shelter as a 5-year-old adult. Before he came to the Refuge, he had been catch-poled on two sides and was dragged until he bled. He had been on a chain his whole life and was in shock and extremely disoriented when he arrived. But, with time and patience he adapted to his new home and finally warmed up to people. Nomad was a big, strong, handsome animal and was protective of his food. He would sometimes come up to visitors at the fence, but, if he let you pet him, he would be very particular about where you pet him. He did not mind being petted along the lower part of his back but he did not like to be touched towards his neck. Nomad lived with Tika. He had a bad heart condition and Dr Wagner said it would be a kindness to let him go. He was a rough and tumble guy and left us enjoying a big juicy bone until the very end. Red Dog was a sweet, goofy guy who always had a big grin on his face. He came from the Ignacio area. Someone bought him on the Internet for $800 because he was a "red wolf". 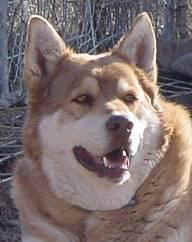 Red Dog was a big, fat Husky, without an ounce of wolf in him, but we all loved him anyway. He wanted belly rubs and food! He developed severe arthritis. On the night he died there was an amazing red sunset, a final farewell from our friend. Simone was very shy and did not like to be touched. She lived in California with another animal named Mozart. In 2000, Mozart was flown to Wolfwood but Simone was flown to a person in Philadelphia. However, her new owner had a heart attack shortly after Simone arrived so she was flown to Denver where we picked her up. Simone was 16 and had cancer. Eventually she had great difficulty getting up and moving and she would have frozen to the ground in that condition as the winter set in. She was ready for her passing, even if we weren't. 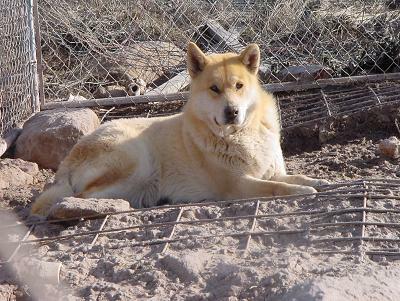 Tonka was the eldest member of the Wolfwood family. Tonka and her brother, Buddy, were our first official rescue in 1998 when we got them from another refuge in Chino AZ where they were not doing well. They were very thin and had not been touched in 6 months. 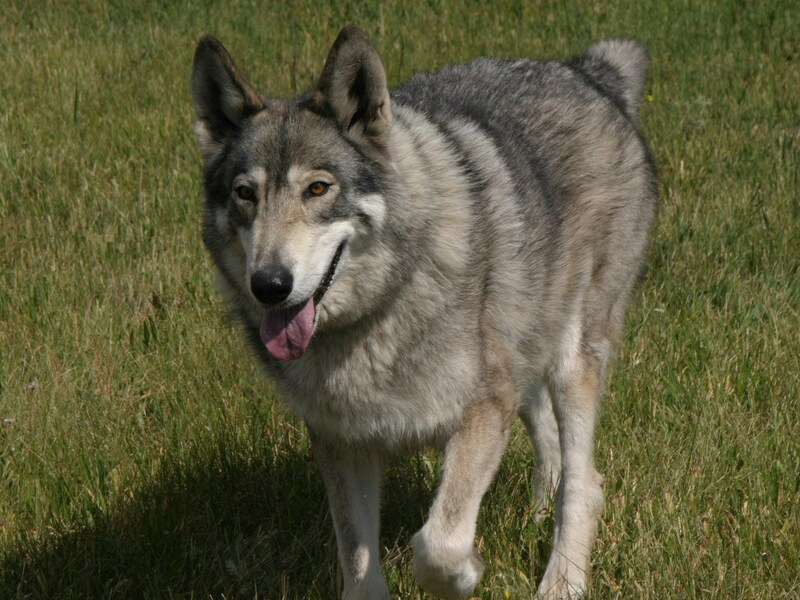 Tonka was an alpha female who loved everyone and was friendly and outgoing. Her brother, Buddy, was very shy. Tonka was our first ever ambassador animal. When Buddy died in 2006, Tonka was inconsolable, howling most of the day. We could not pair her with another of our adult animals due to her alpha personality. Ultimately, we got Kohl, a dog puppy, from the humane society. Since his arrival, Tonka had been much happier although she was sometimes confused by his doggie ways. Tonka succumbed to the effects of age and cancer. Few animals have touched as many lives as she has. More then anyone else, she helped make WolfWood into the special refuge that it is. She shaped and shared our dream. Tonka, you are loved and missed. Rest and run with your brother. 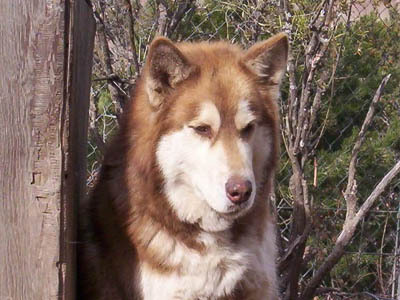 Zia was part of a coordinated rescue between the Ute Tribe, La Plata Humane Society and WolfWood in 1999. She was one of the 30 animals taken over two years from an extremely bad situation here in the Durango area. She had Parvo as a puppy, and had some residual damage because of that. She lived to be 14. She was Silver's pen mate who passed late last year. She was the last of the "Shannon" group. While never an animal that would let you close, she had a long life here at WolfWood. Anis came to us from Farmington NM. She was in a very bad situation there. She was always shy and submissive. After her sister died, Anis went to live with Inepee. She was very happy with him until she passed away at the age of 10. Her sweet face will be missed. Bronte's death was an especially hard one for all of us at WolfWood. Many of you have met Bronte at one of our events. He was one of our most beloved ambassador animals. Known as the "gentle giant," he loved nothing better then to be surrounded by children. Bronte made a difference in the lives of hundreds of people, young and old alike. Diagnosed with kidney failure almost two years ago, Bronte improved with a special diet, IV's of fluid and great care by Dr. Wagner of Bayfield Animal Hospital. Still, we noticed a difference after losing the love of his life, Cassidy. Bronte came to us after he was picked up by the Pueblo Humane Society when he was found running loose. He was, by far, the largest member of the Wolfwood family. However, that size ended up taking a toll on his kidneys as he got older. Bronte became an Ambassador for Wolfwood almost immediately. He loved children and loved the attention associated with being the center of an event. While Bronte was a very large animal, he had some interesting tendencies. He did not like cowboy hats and would back away when he saw someone wearing one. This may have been due to his handling before he came to Wolfwood. Bronte also had his particular likes and dislikes while traveling in his Ambassador role. When staying somewhere away from Wolfwood, Bronte had to have a clear line of sight to wherever Craig and Paula were staying. He didn't need to actually see them but he had to see the door of the place where they were staying. On one trip it wasn't physically possible for Bronte to see the door of the house even though Craig and Paula could see Bronte through a window. Bronte howled and howled until Craig came out to assure him that they were still there. Bronte wasn't satisfied, and when Craig went back inside, he began to howl again because he couldn't see the door. Craig came out and slept in the truck with Bronte so he would feel better. We were fortunate to have several weeks with Bronte to say our goodbyes. Lavonne sat with him, and he was surrounded by friends as he passed. We miss his beautiful spirit, but take comfort in knowing he is with Cassidy again. (From Paula) Navarre's death was one of the most difficult for me personally, and also one of those special transcendent moments that shape who we are. I was there when Navarre was born, on a dark and cold winter solstice night, 15 years ago. He was one of my original nine pack, and the start of my work in rescue. I was chosen as his special person right from the beginning, and Navarre went almost everywhere with me until he took over the alpha position in the pack after Winslow, my first ever wolf/dog, died. Navarre went down one night and couldn't get back up. I laid next to him in his large, A-frame dog house, under a sky filled with brilliant stars. I talked to him, sang to him, and rubbed his majestic head. In the end, I just held his big paw in my hand. Navarre knew I was there, and I believe it gave him comfort with his last breath, just as it did with his first. We had a special bond throughout his whole life, and it will stay with me throughout the rest of mine. Navarre was one of the original 9 members of the Wolfwood pack. His father, Winslow, was the undisputed alpha of the pack. Navarre was one of the first Ambassadors for Wolfwood and enjoyed his role for many years. As he got older, Navarre turned over the reins to other animals and enjoyed spending his time with Dominoe (of the original pack) and Trinity, a new addition. Navarre inherited some characteristics from his father regarding leadership within the pack. While his father was alive, Navarre always made sure that the younger members of the pack were allowed their fair share of the food. However, he wasn't a push-over for these youngsters. He had no problem letting a younger member know when they were out-of-line regarding their behavior around the older pack members. As Navarre's father aged, some wolves tried to take the alpha role, especially after his father had a stroke. However, Navarre did not let this happen. Navarre would not allow any other wolf to eat before his father, even though his father could not physically hold the alpha role. If another animal tried to eat first, there were severe consequences from Navarre. Needless to say, the other pack members quickly learned who the next alpha was and who they would listen to. Navarre made sure his father got the respect he deserved until the day his father died. But Navarre also had patience that would surprise people. At one event at a Humane Society, a small dog got loose and started biting Navarre on his backside. The Wolfwood volunteer had Navarre on a leash but if he wanted to go after the small dog, it would have been an issue. Navarre just looked at Paula with an expression that said "Is this little dog kidding me?" Fortunately, the little dog was put back on a leash and taken away. Navarre went on his way with his continued role as Ambassador for Wolfwood at the event. His leadership qualities, confidence and personality will be missed. Saber died at 13. He came to us from Utah. Knowing there were safe places for animals like Saber, animal control officers did not want to put him down. After contacting us and getting the go ahead, Best Friends offered to transport him here. He flew in a Piper Cherokee into Durango airport. He lived happily at Wolfwood, with his friend Atirea, for 10 years. Saber was an active and strong animal even after his surgery, but eventually he succumbed to cancer. 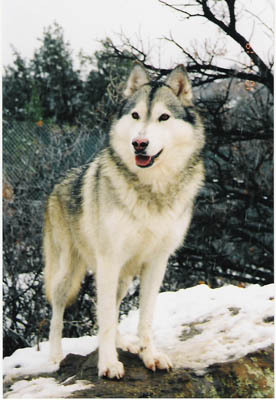 Silver was part of a coordinated rescue between the Ute tribe, La Plata Humane Society and WolfWood. He was one of the 30 animals taken over two years from an extremely bad situation here in the Durango area. He had parvo (a contagious canine virus) as a puppy, and had some residual damage because of that. He lived to 12. Silver never socialized well, although we tried. Liz Morris spent many hours with him when he was younger. He lived with his sister Zia, who is the last of the "Shannon" group. While never an animal that would let you close, Silver was a brave example of survival against the odds. Many of you had met Cassidy, either in Estes Park or at one of our other events. She had been a premier ambassador animal for years and had literally been petted and photographed by thousands of people. Cassidy came out of a meth house in CA. She and five other animals weren't just chained; they were all chained to each other and fed only unopened cans of beans. Officers went in, guns drawn, shut down the drug house and confiscated the animals. An organization in the area raised money from local citizens to help get the pack to us. We had to bolt cut their chains off. Cassidy could not even lift her head, her neck muscles had atrophied and she was completely emaciated. Our first job was to physically rehabilitate the pack. This took months, but soon they were all living happily in their large enclosure, able to move freely for the first time. After a few years the alpha male, Cassidy's brother, died of bone cancer contracted where he had been repeatedly kicked. The pack fell apart and had to be separated. Cassidy lived next to two former pack members but was by herself until Bronte came. Cassidy suffered from seizures which were under control with medications for a long time. She finally had a seizure she could not recover from. Even though we rushed her to the vet and tried our best, we could not save her. Cassidy was very special, and there are no words to describe the breadth of our love or the depth of our sorrow over Cassidy no longer being part of our lives. Bronte was with her till the end. We hold her memory in our hearts and miss her every day.